I am DYING to go shoe shopping! I'm hanging out for payday so I can buy a new pair or two and eyeing off these puppies in the meantime.. Which pair do you like most? Oh, I so share your affection for these shoes. They make my heart skip a beat. They're all lovely. If forced at gunpoint to choose, I'd pick the first ones. I love shoes and I own slightly more than the average amount but I always end up wearing the same few over and over. The last pair is my absolute favorite! Love it! All of them are beautiful but the last ones are really calling my name!! Yes! I love shoe shopping, but lately I have been having a hard time finding something I am in LOVE with. But these are all lovely! I havent had a shoe obsession in a while but right now there are so many gorgeous shoes in the shops. GREAT selection, my favorite pair is definitely the wedge booties.. The last pair killed me!! love love! 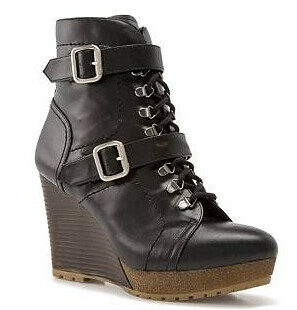 Oh gosh, I love the Steve Madden ones! Though, I always find their shoes to be really uncomfortable.